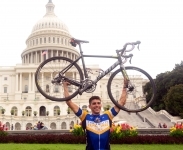 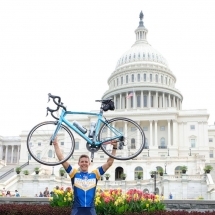 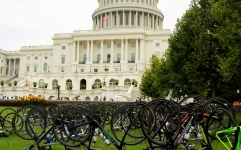 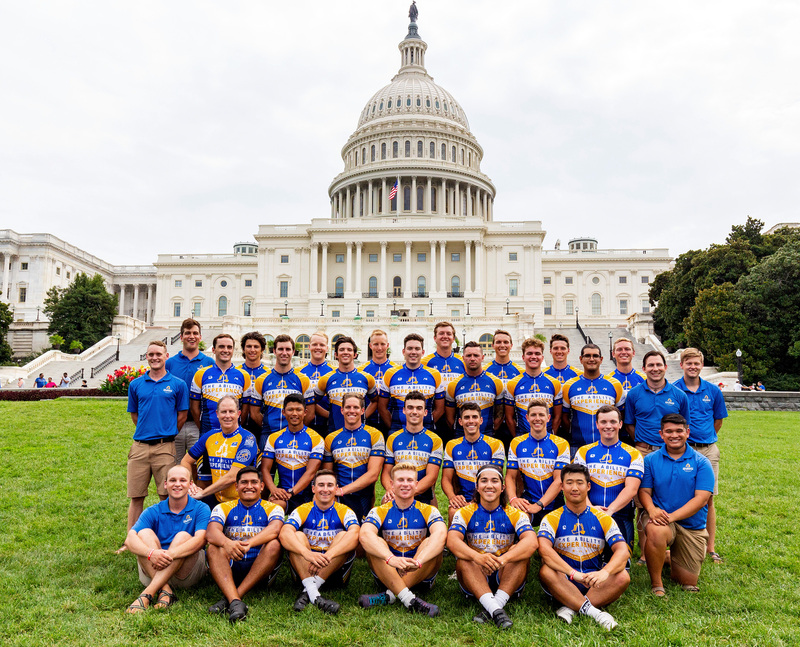 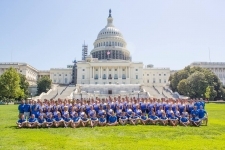 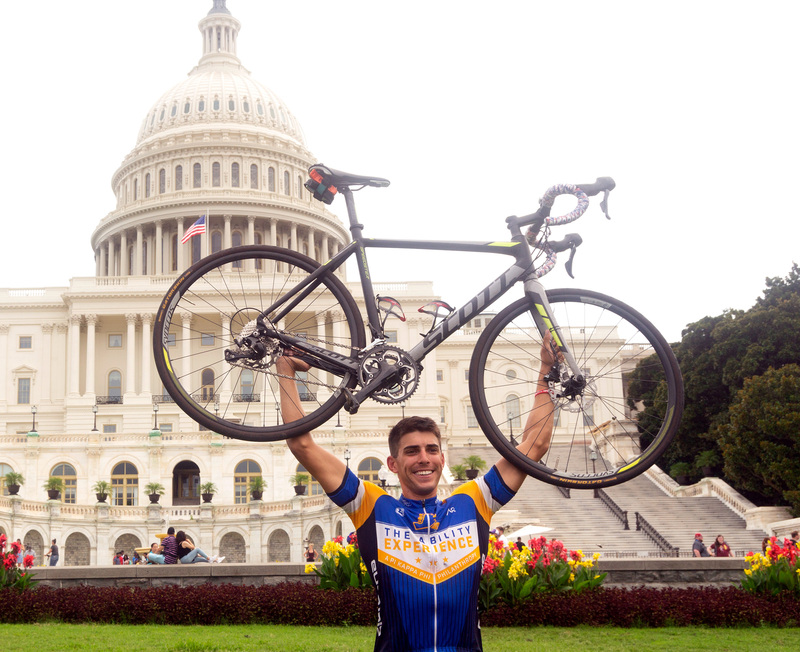 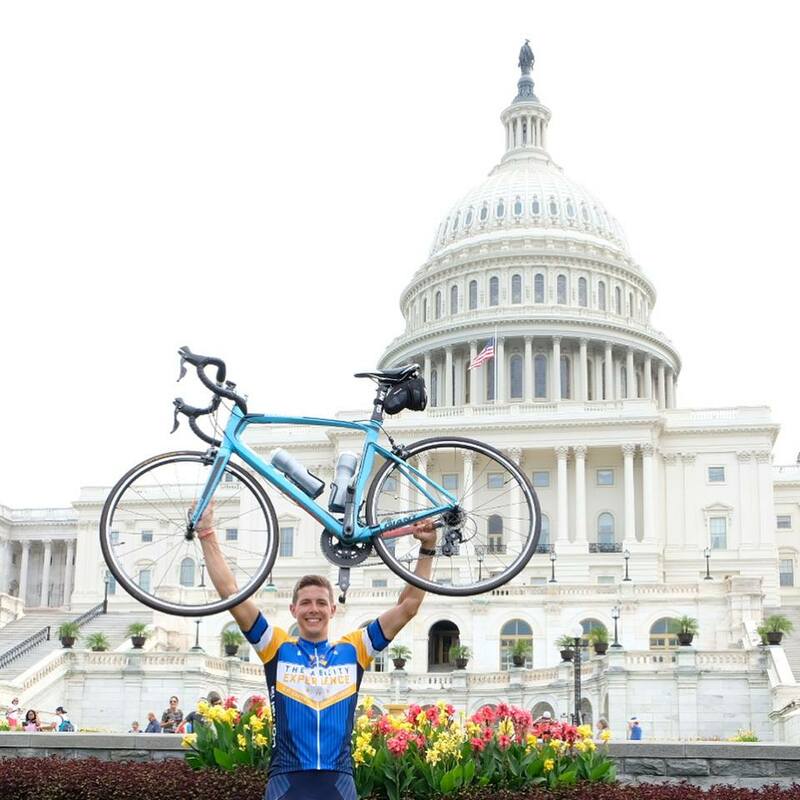 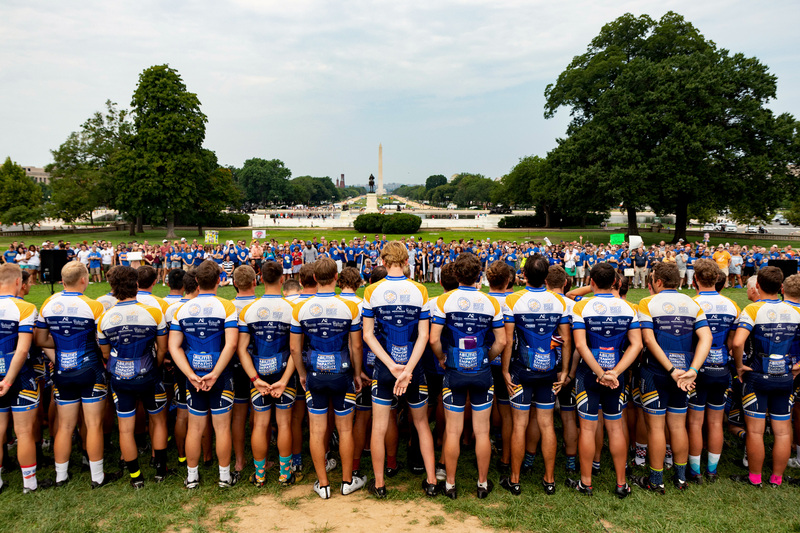 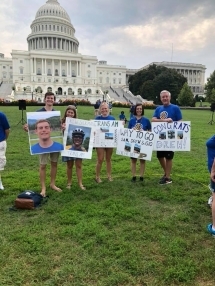 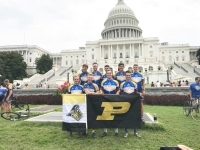 Nine chapter members completed their Journey of Hope cross-county cycling trip on Aug. 11 in Washington, DC. 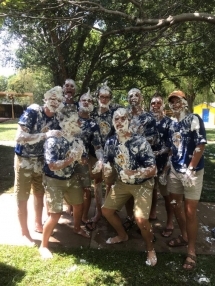 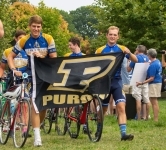 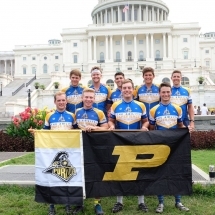 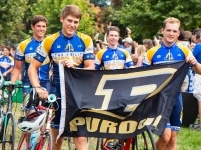 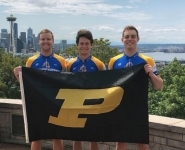 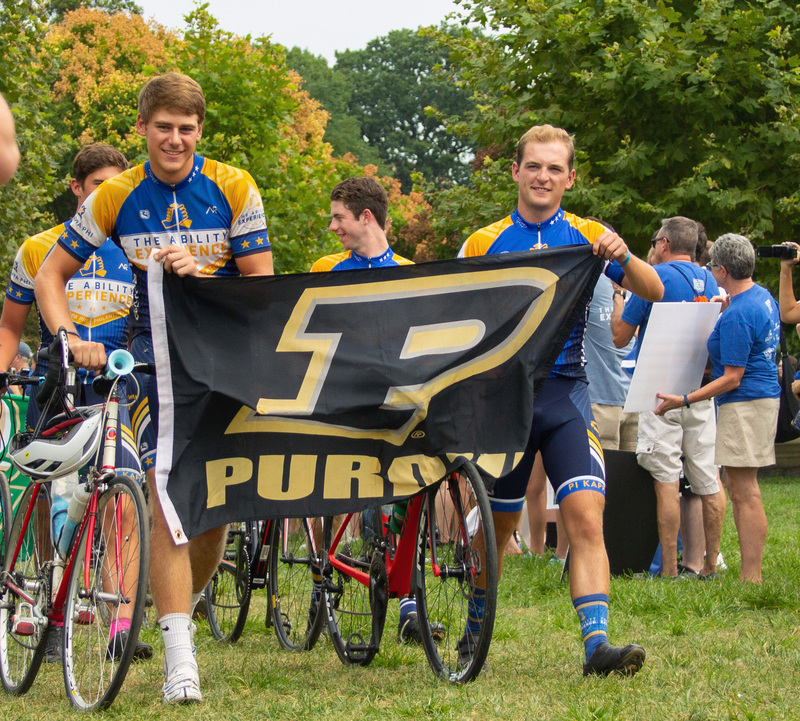 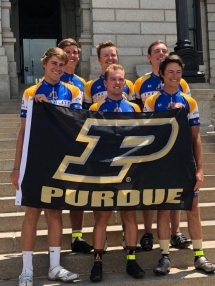 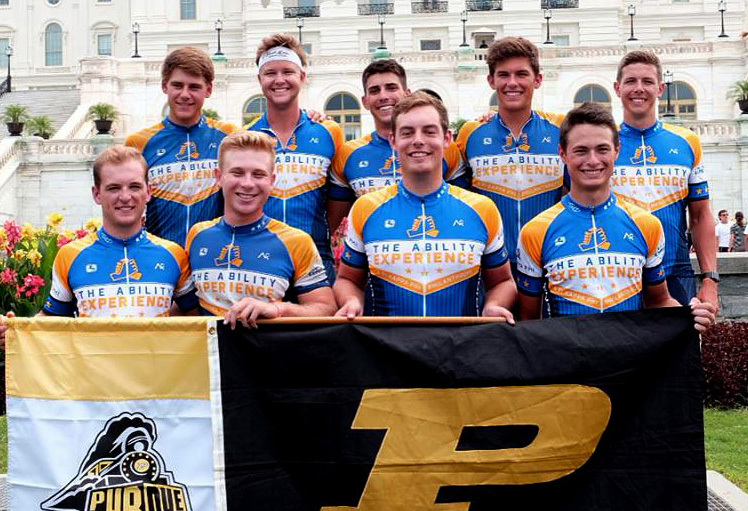 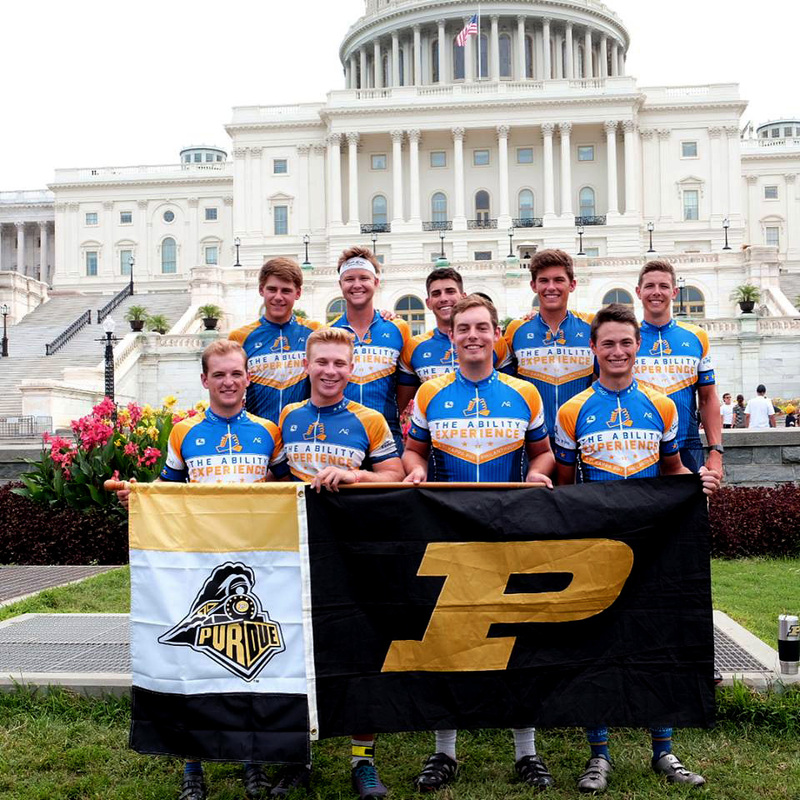 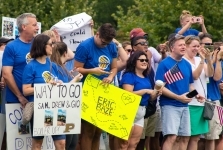 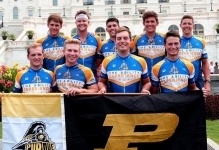 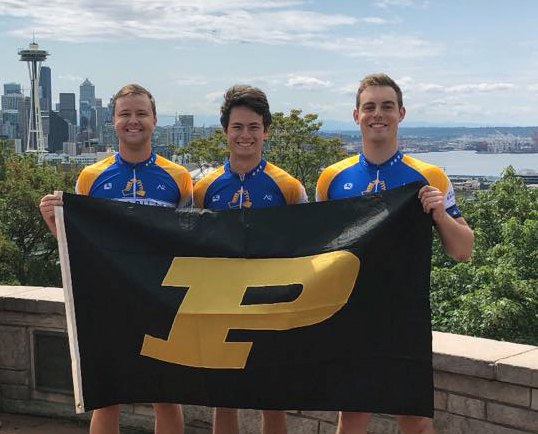 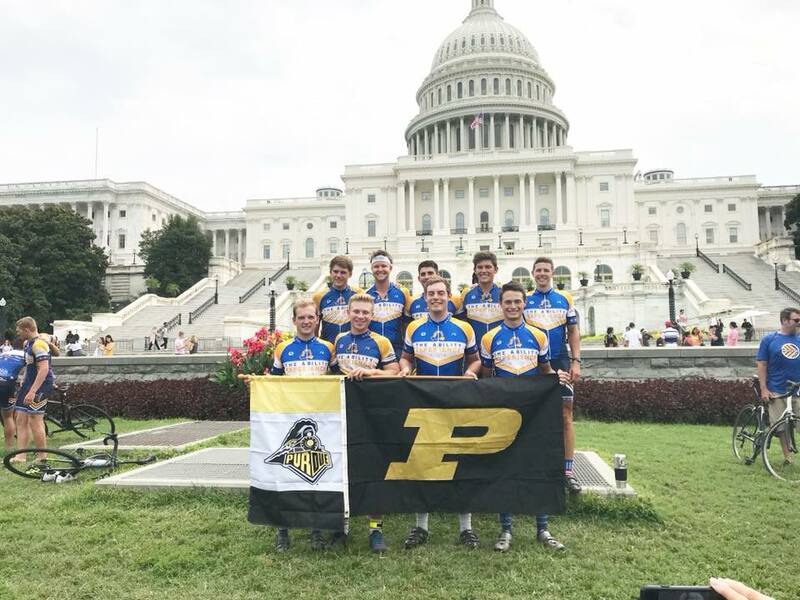 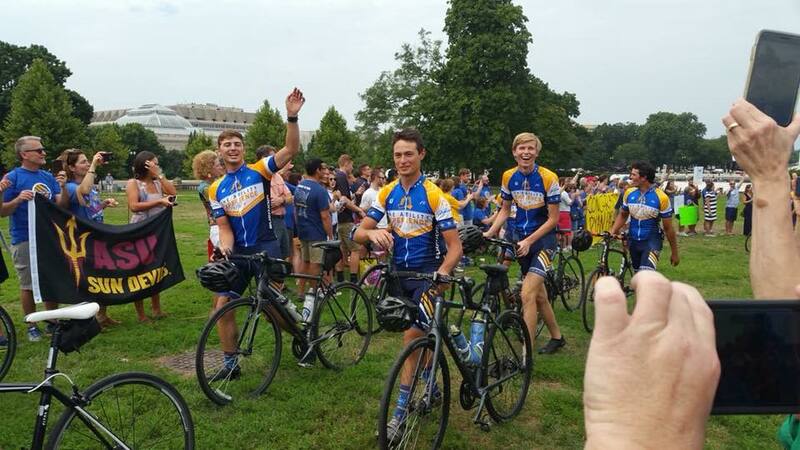 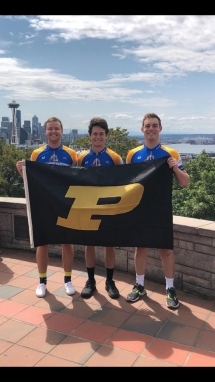 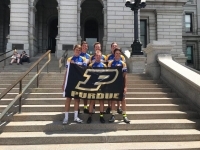 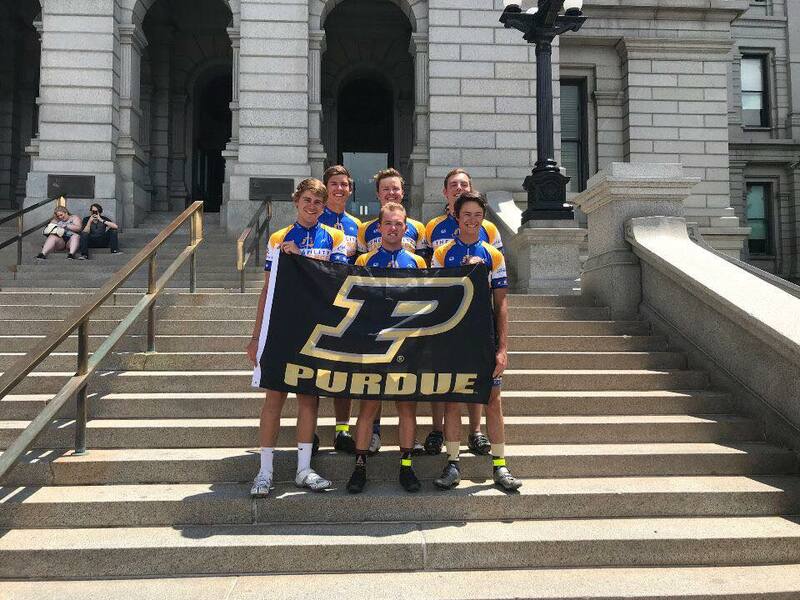 Tyler Baumgartner, Andrew Beering, Gus Dunbar, Jonathon Gianakos, Chad Hellan, Jack Kellison, Ryan Patout, Sam Ragsdale and Drew Sickman were the Purdue Pi Kappa Phi members who participated in the 2018 ride. That means that 76 brothers from Purdue have participated in the Journey of Hope since 1991. 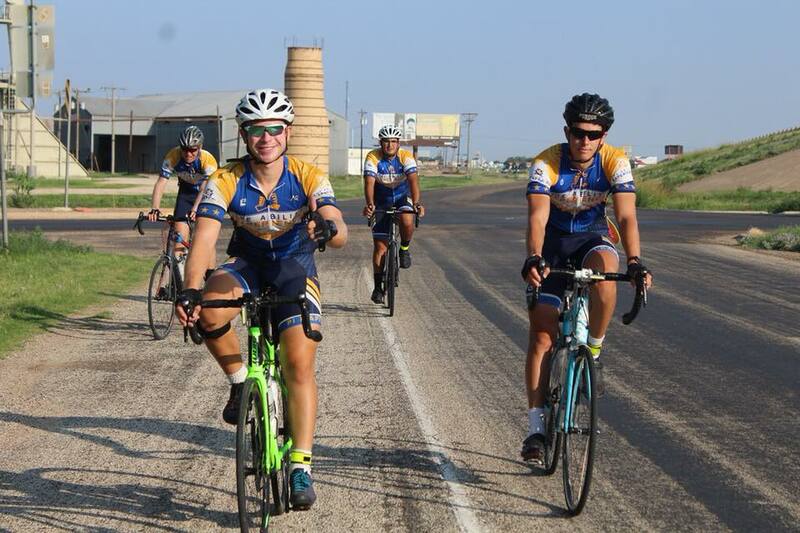 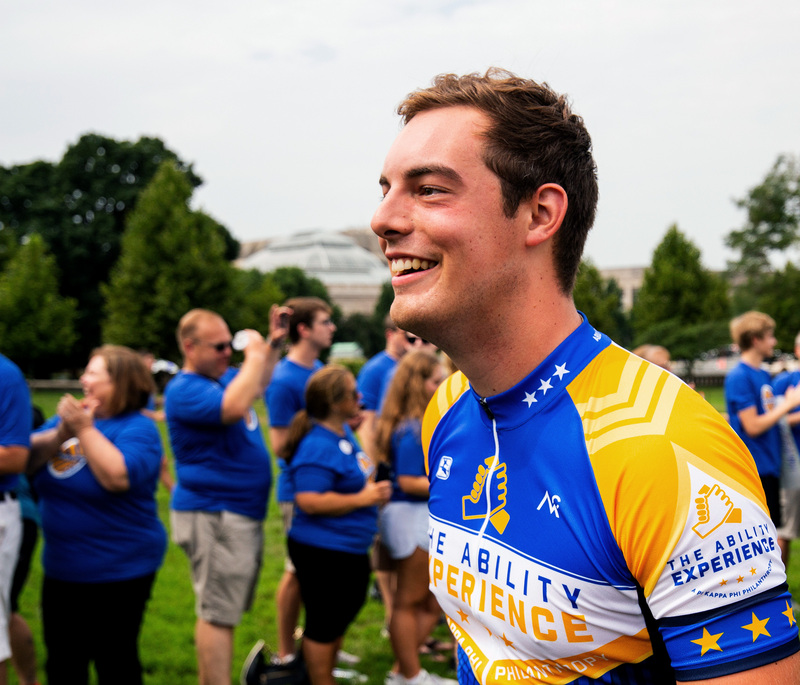 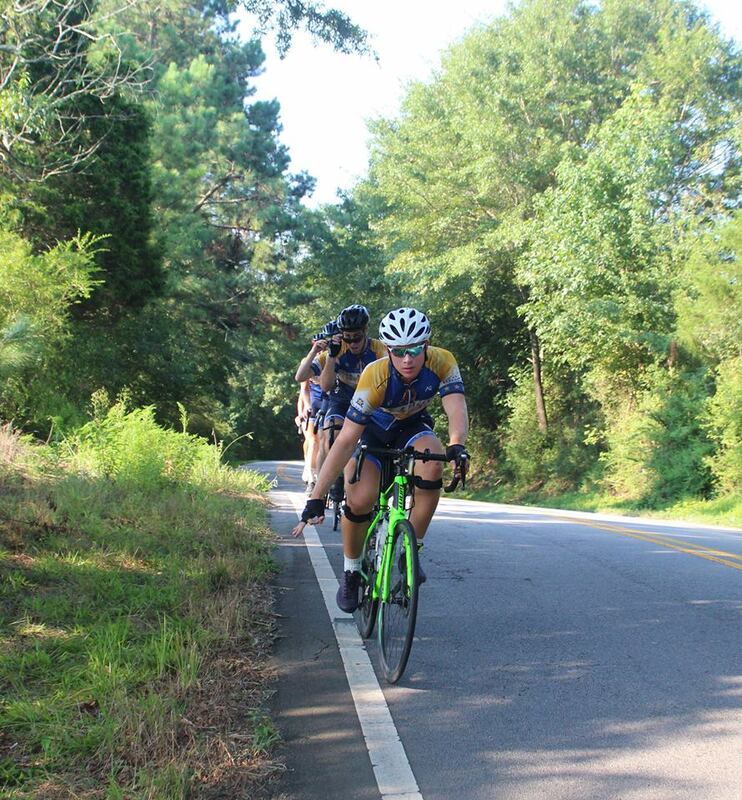 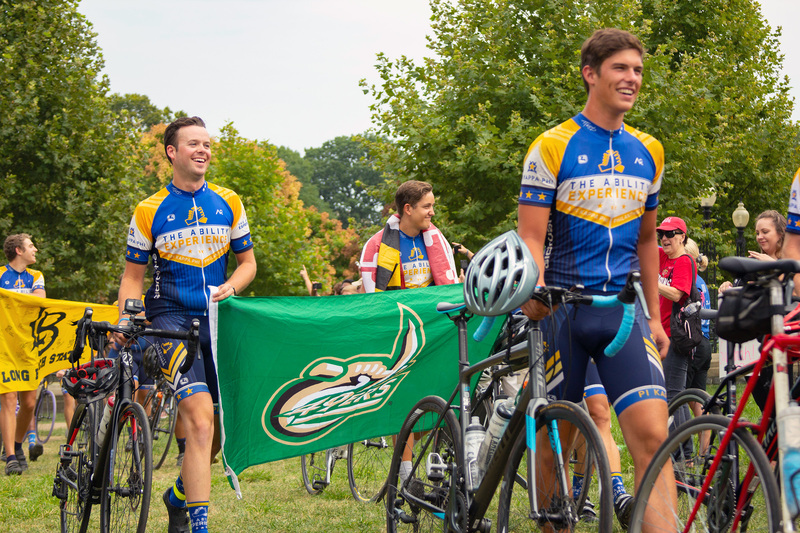 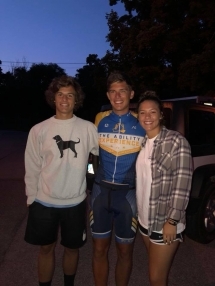 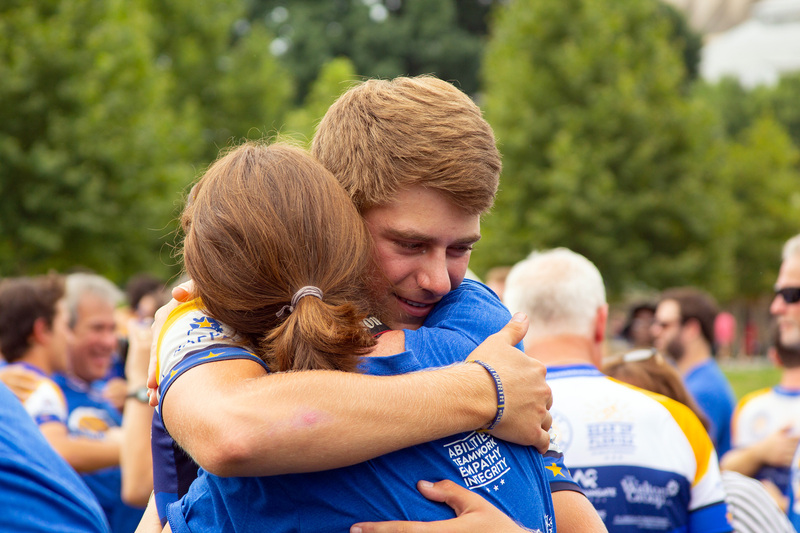 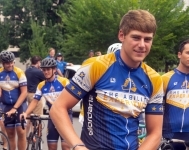 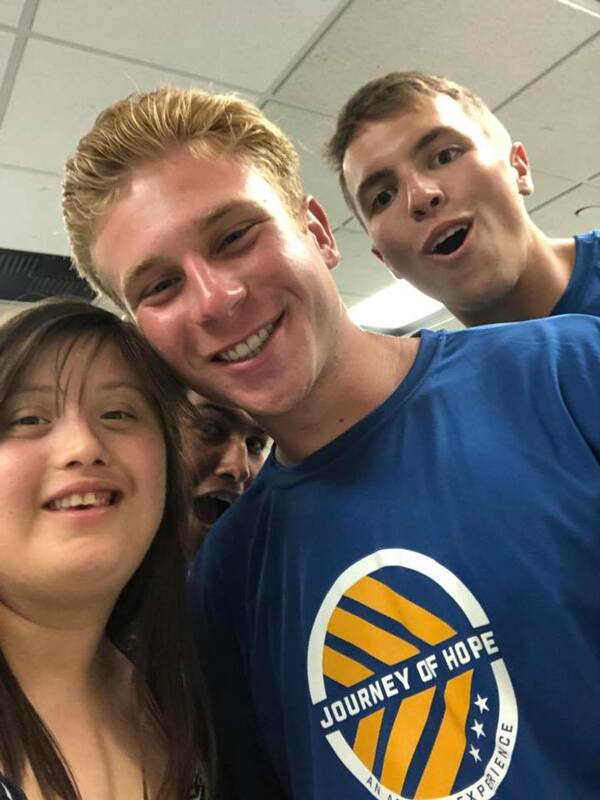 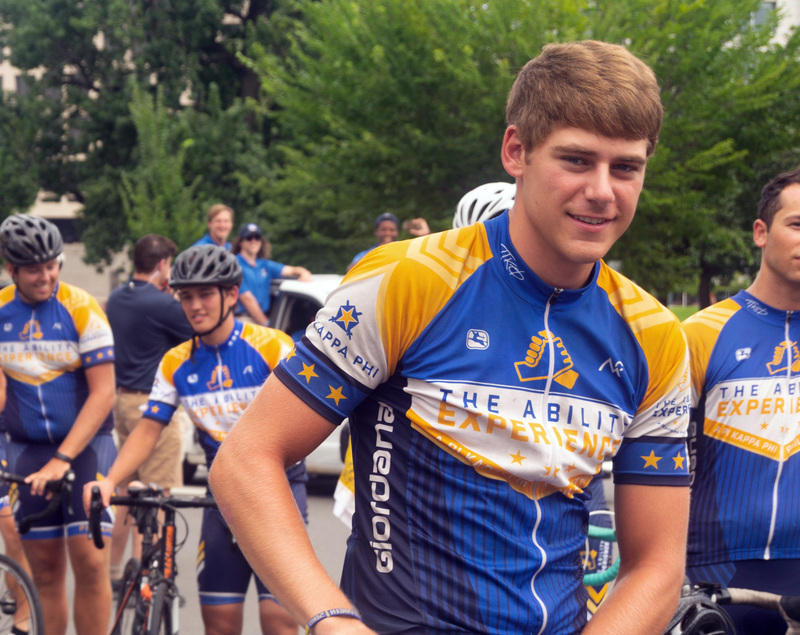 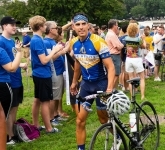 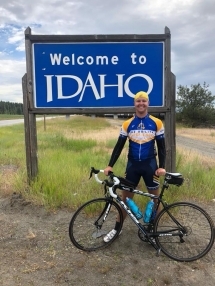 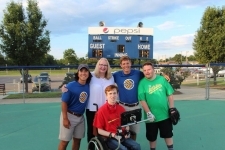 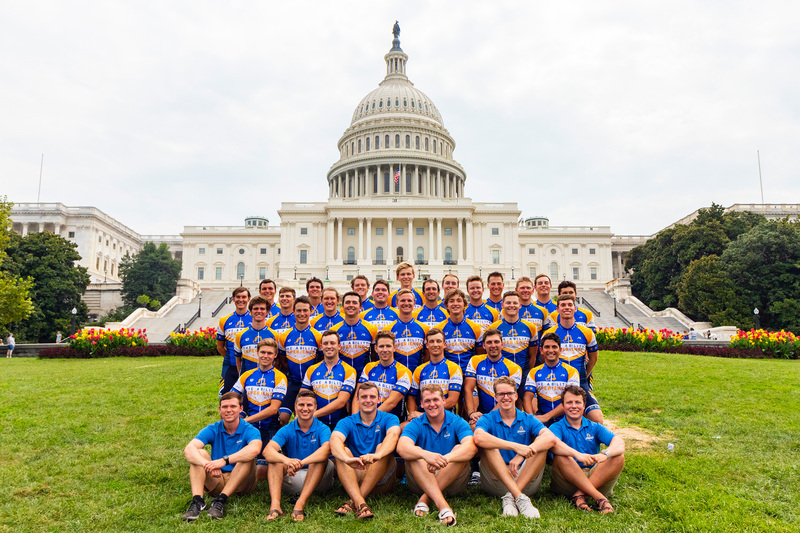 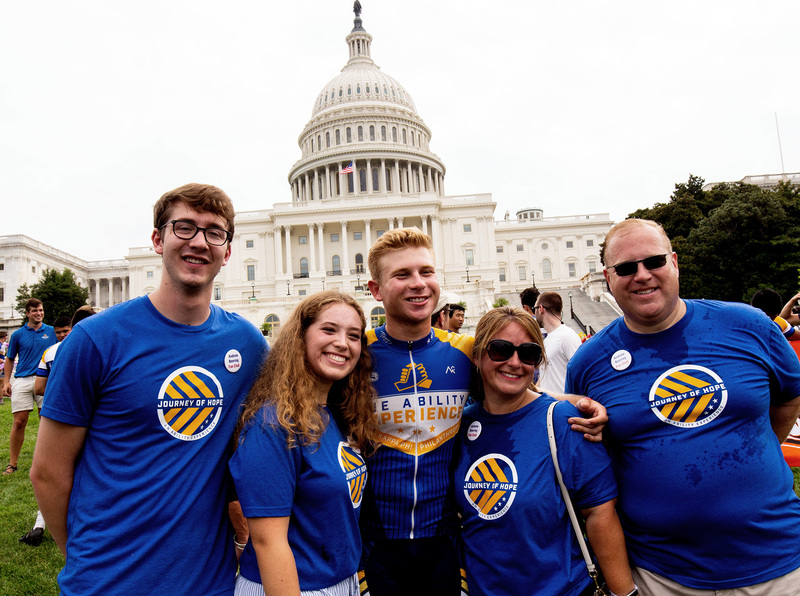 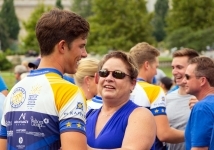 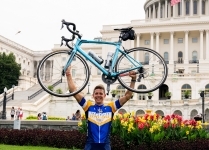 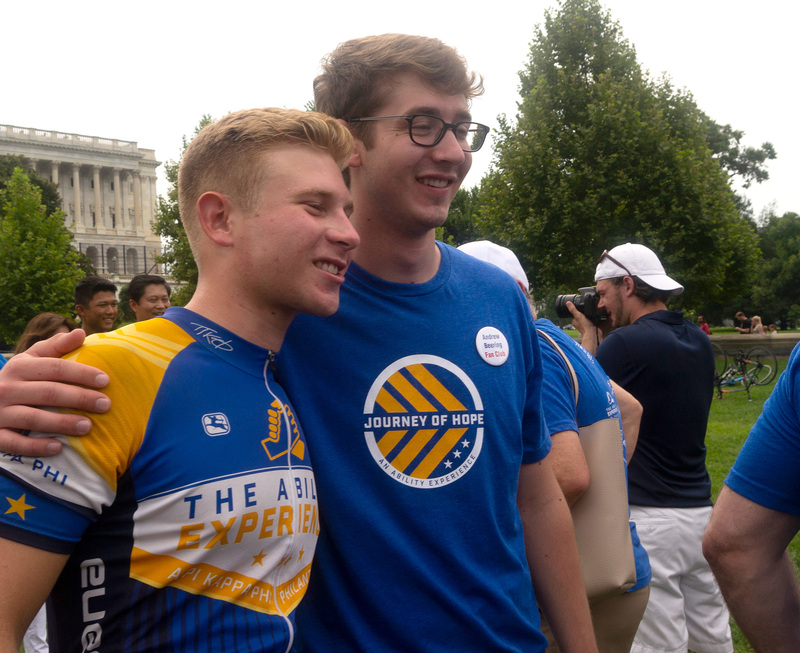 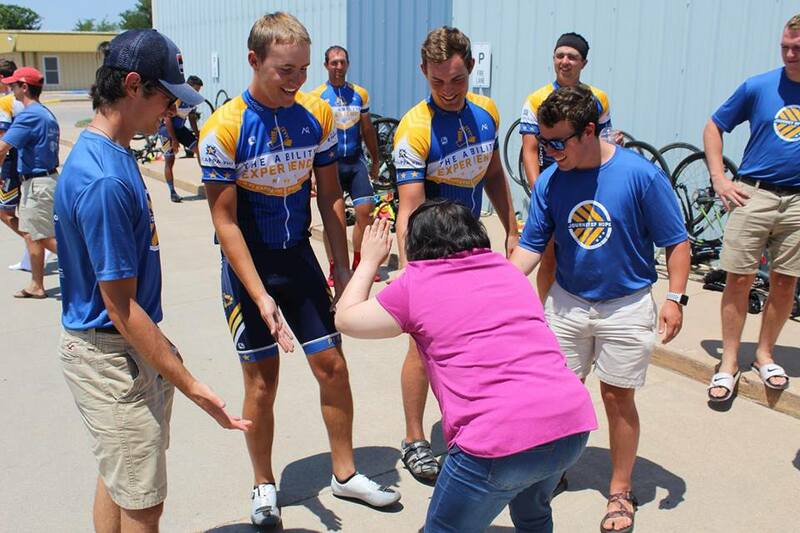 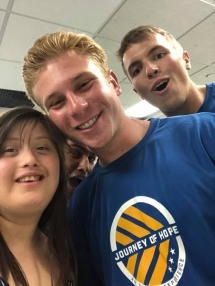 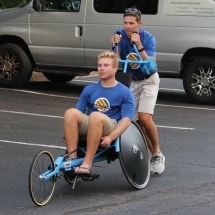 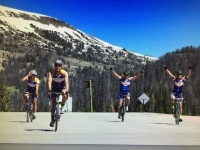 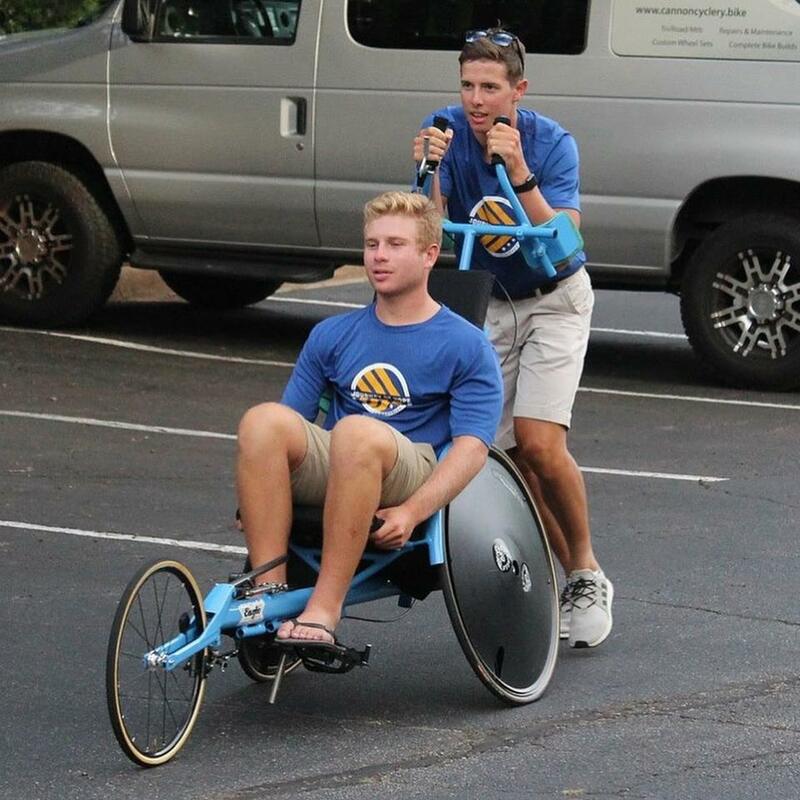 The ride raises money and awareness for people with disabilities through The Ability Experience (abilityexperience.org), the national fraternity’s philanthropic effort. 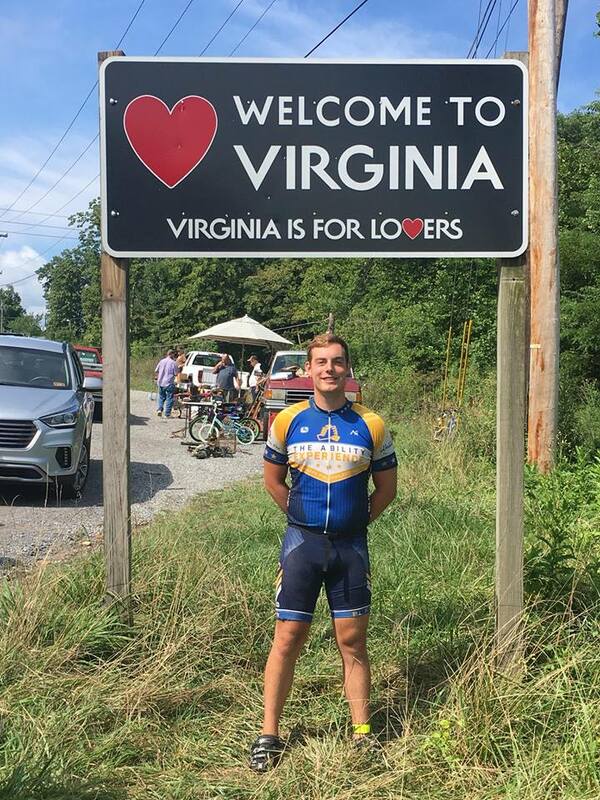 “Thank you everyone who supported me and thank you to everyone I met over the course of these two months that made this an unforgettable summer,” Sickman wrote on social media. 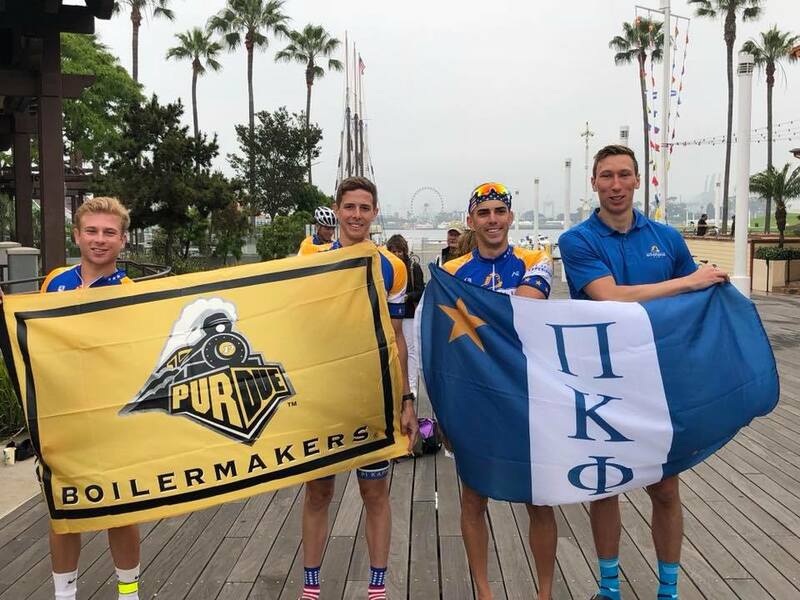 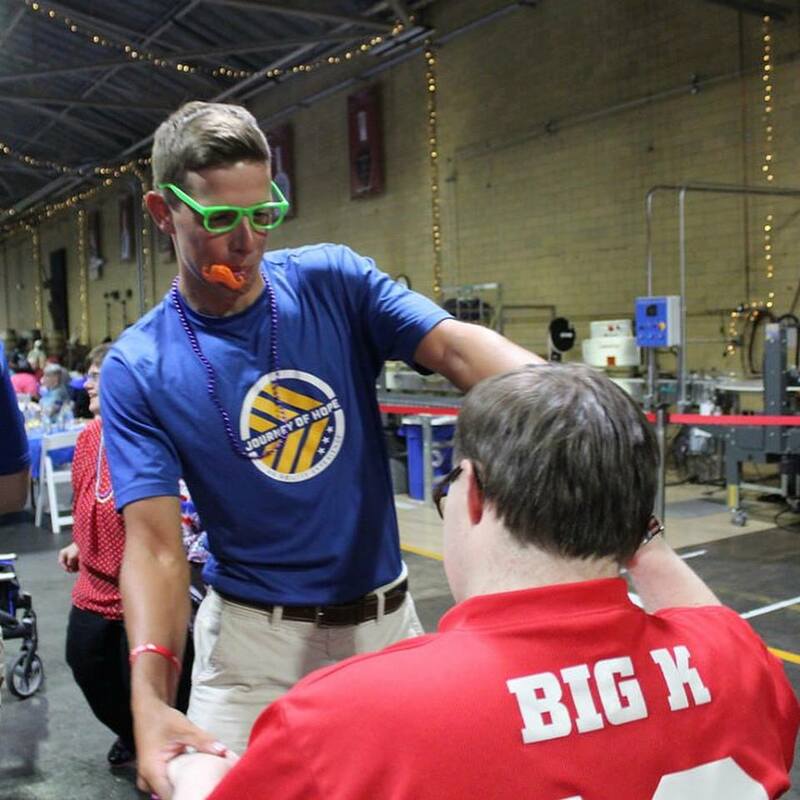 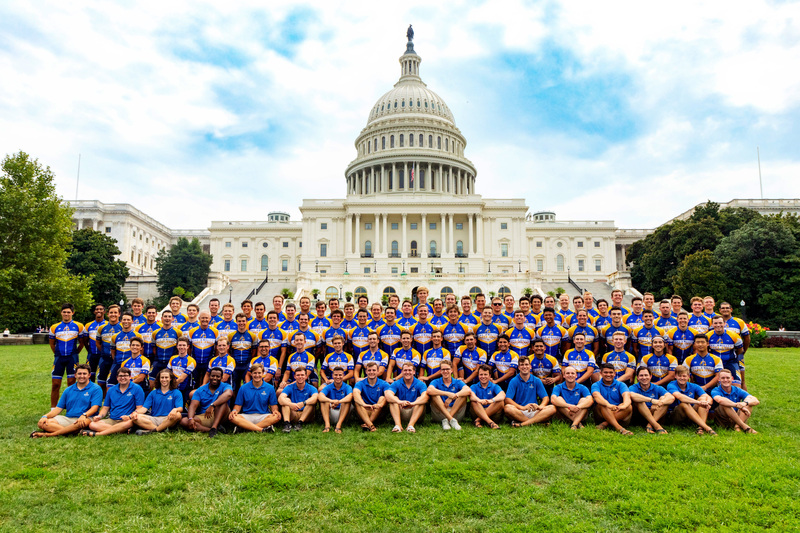 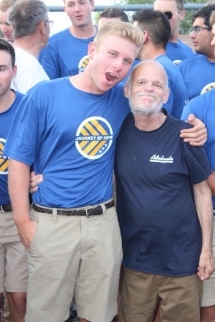 A total of 100 Pi Kapps from chapters across the nation participated in one of three teams. 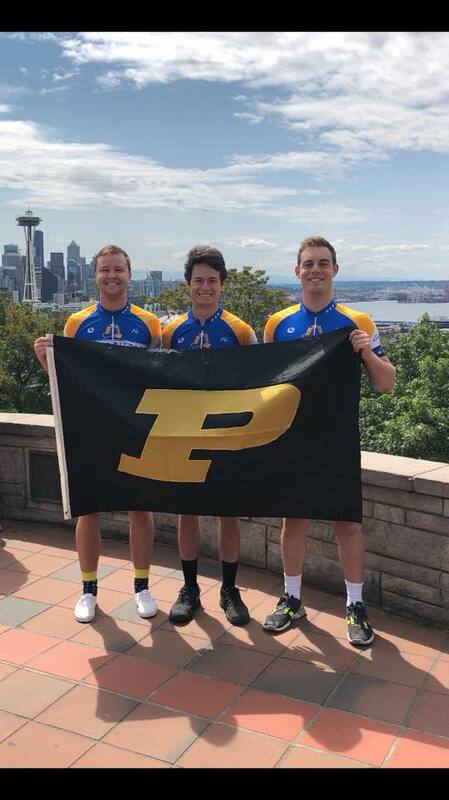 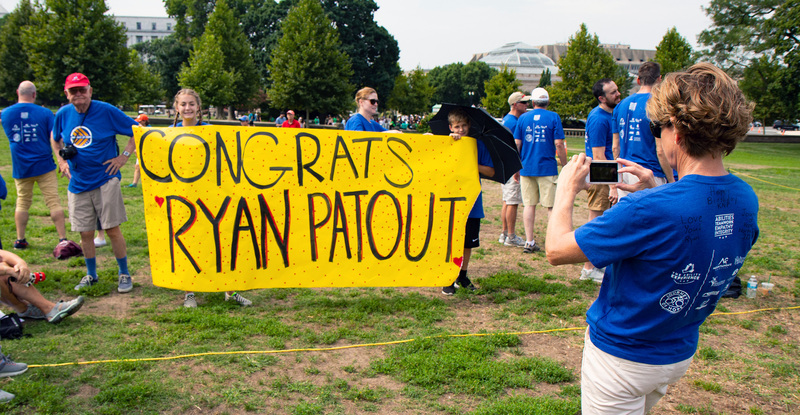 The Purdue chapter had three each on the North, TransAmerica and South teams. 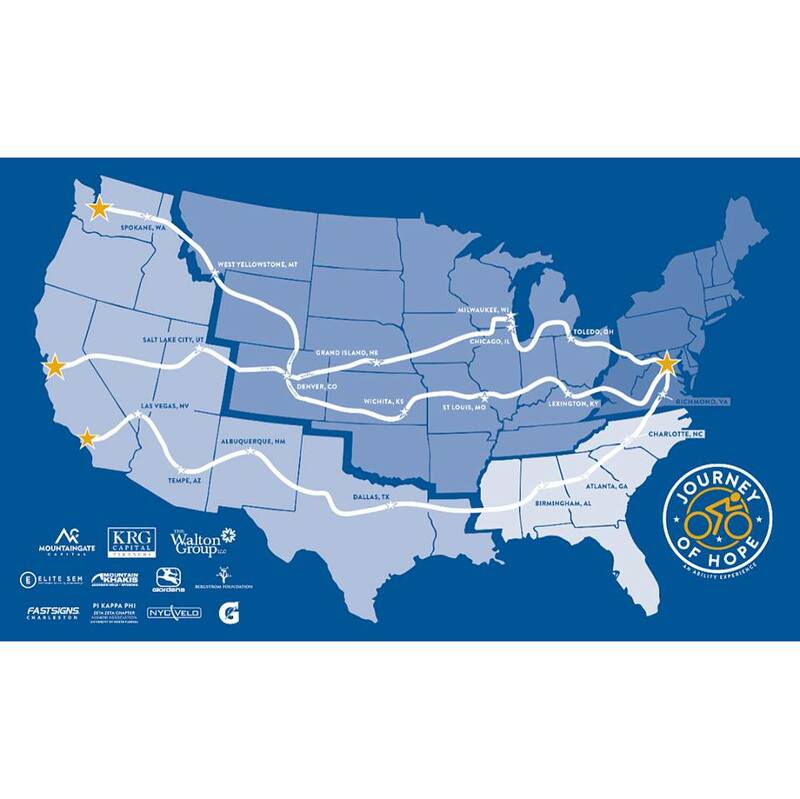 Sickman was on the Trans-America team that traversed more than 4,300 miles from Seattle to Washington. 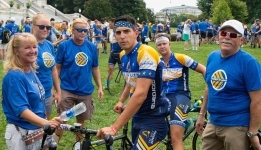 Hellan was on the South team that started in Los Angeles. 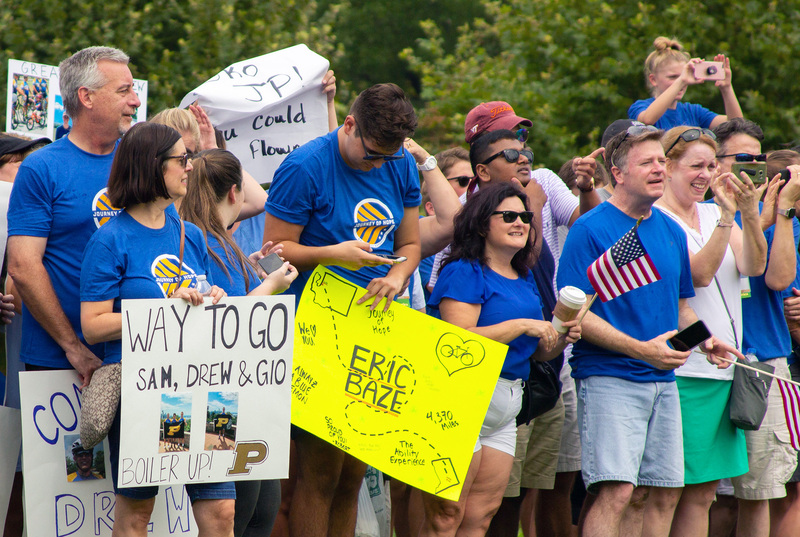 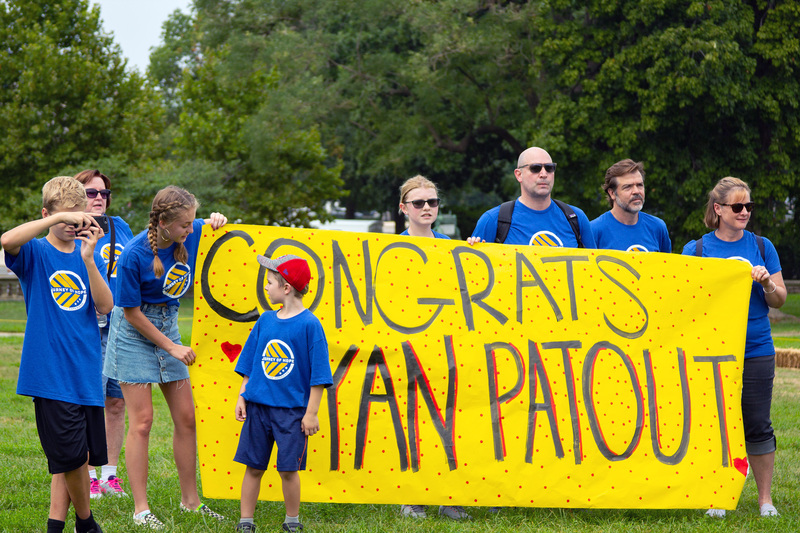 Collectively the group raised $600,000 and visited more than 100 facilities and agencies that cater to assisting people with mental of physical disabilities. 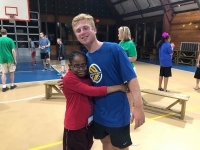 These “Friendship Visits” include various activities from water sports, dancing, bowling, fishing or just hanging out. 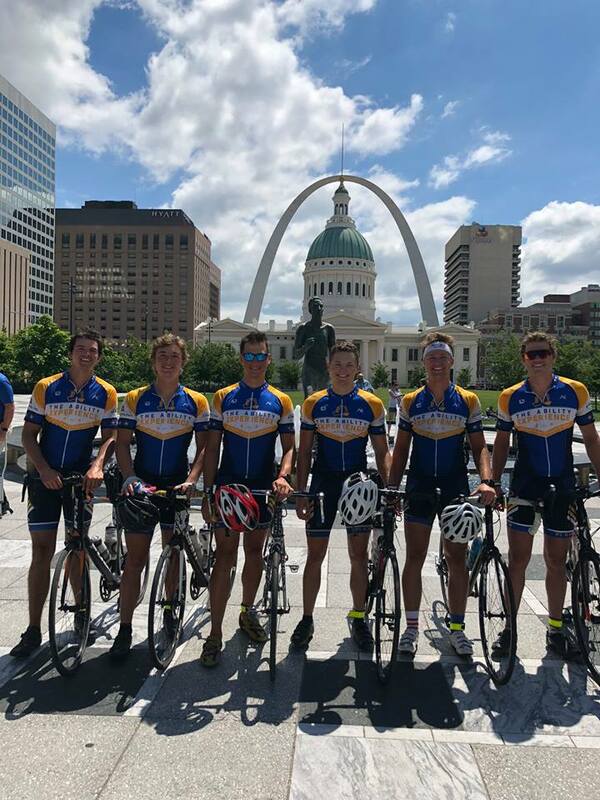 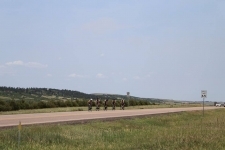 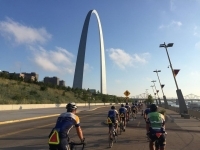 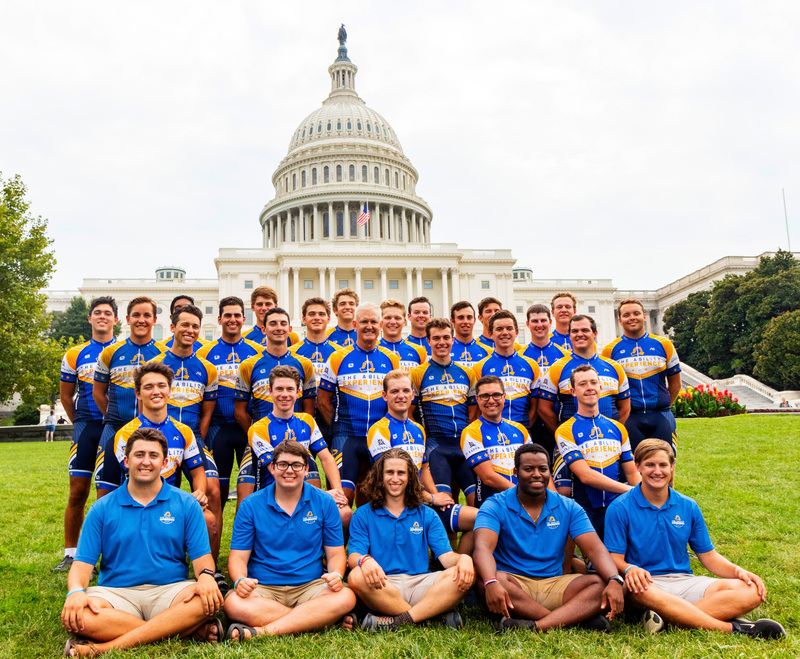 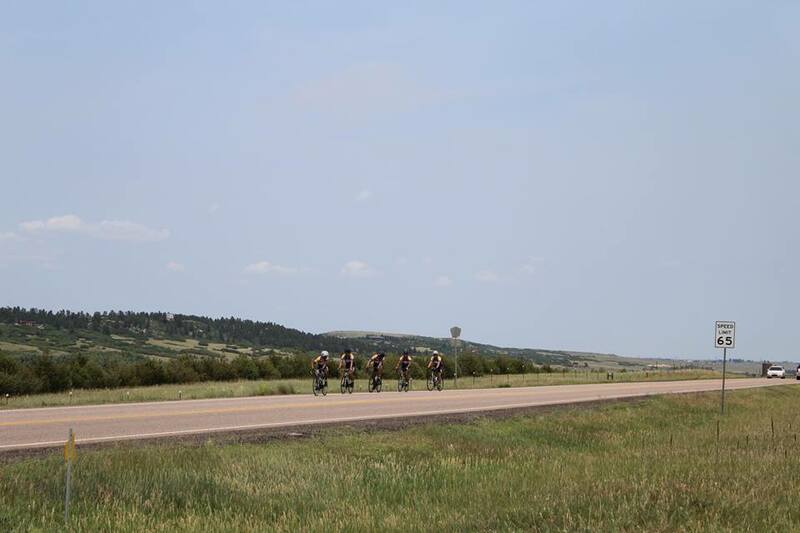 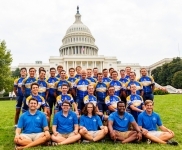 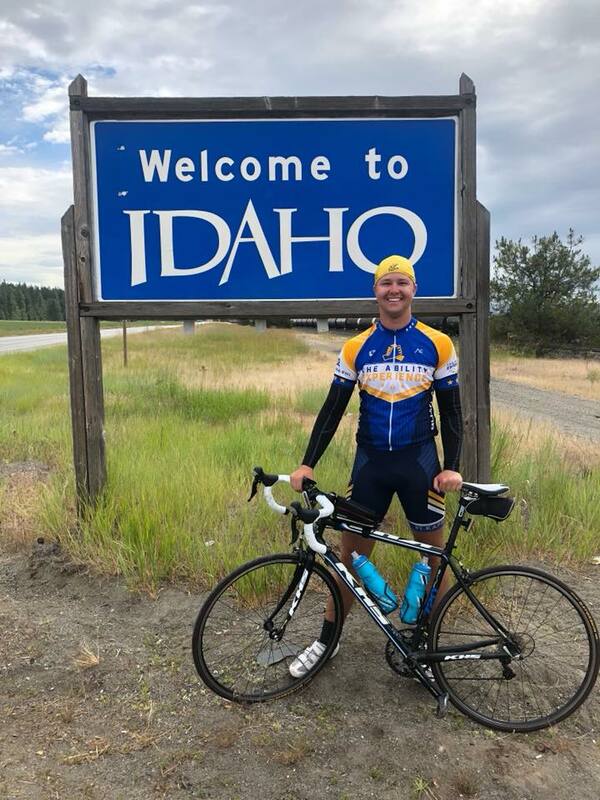 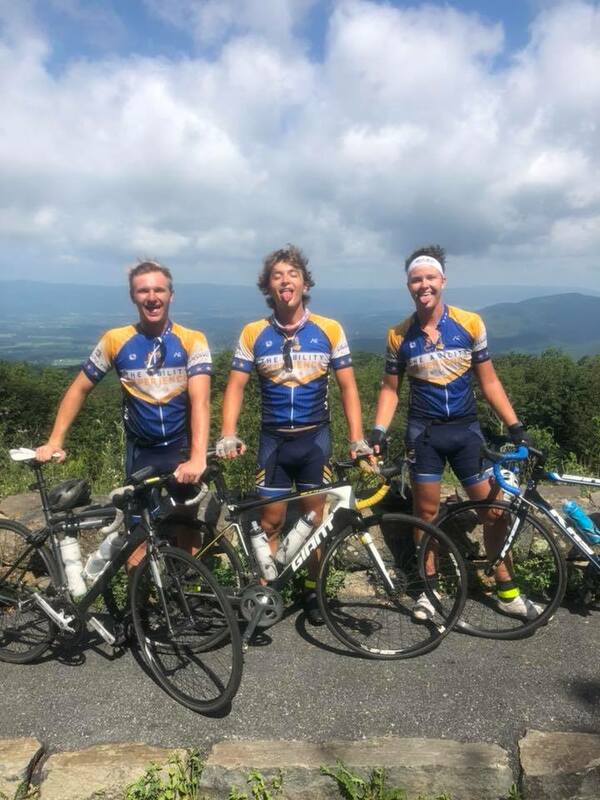 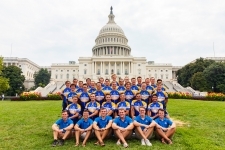 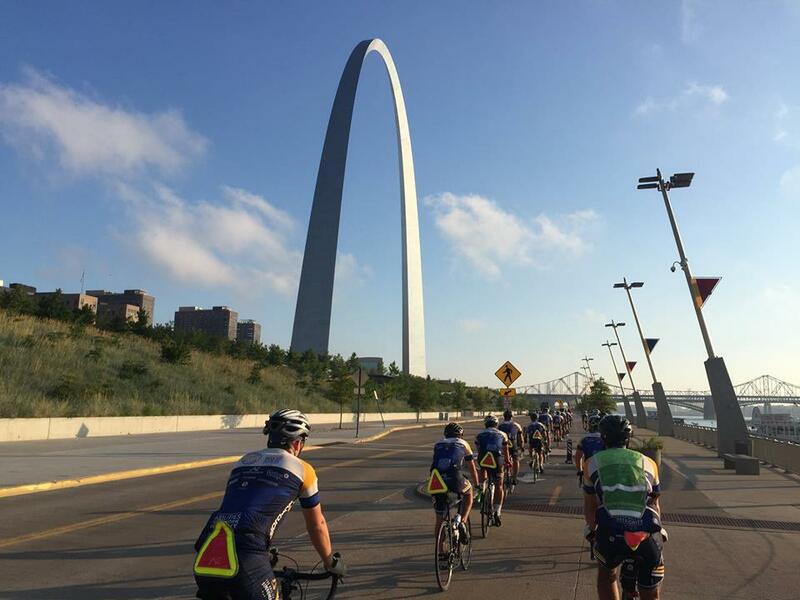 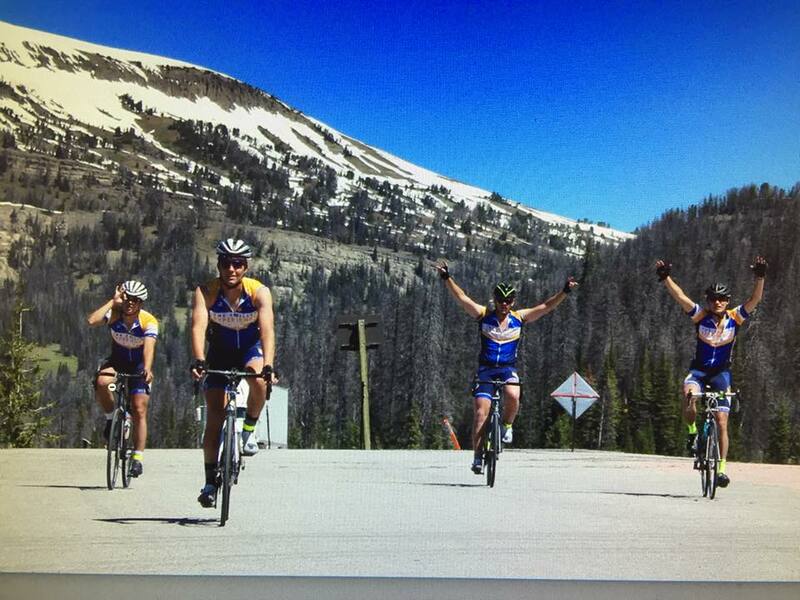 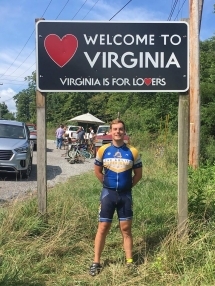 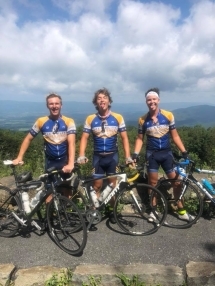 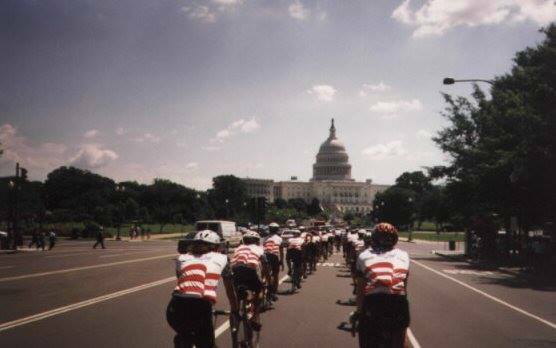 South team member Andrew Beering wrote: “It was a privilege to be able to cycle across the United States, from LA to DC, with this group of guys. 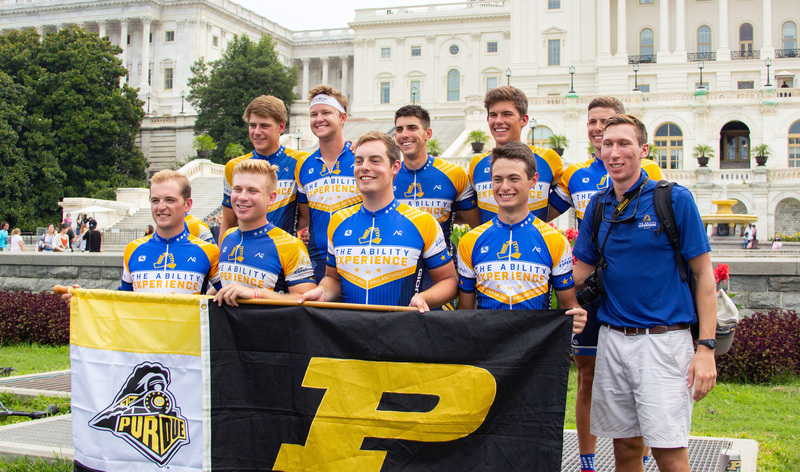 Not only did all three teams collectively raise more than $600k for our philanthropy, the Ability Experience, but we were able to grow as men. The people and clients we impacted on our trip left a larger mark on each one of us than we did on them. “The caretakers, parents, and workers who care for, engage with, tend to, and enable people with disabilities to live full, healthy lives are incredible. 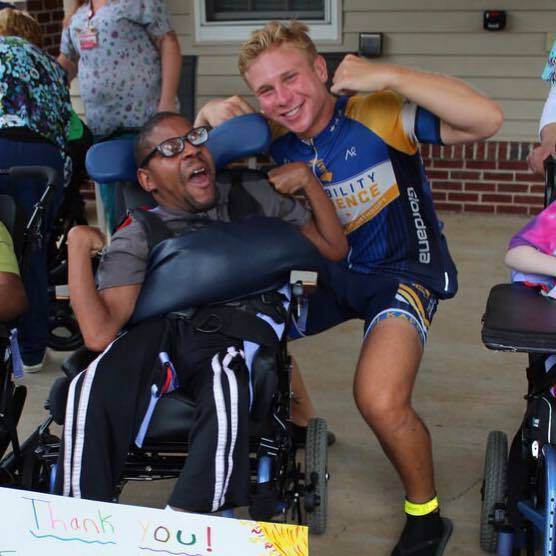 To live a life of service and love is admirable. It is thankless and these people do not receive the credit they deserve.